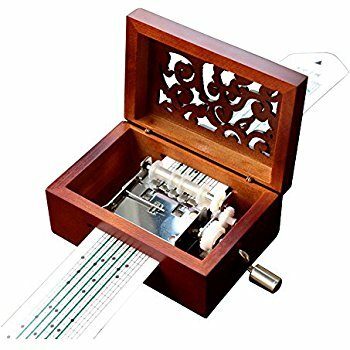 This lecture and multi-media presentation covers the history of the music box, starting with the early chiming watches of the 1700 century, including the early barrel organs and carillons. The lecture presentation follows a timeline where we find Geneva, Switzerland and Leipzig, Germany becoming the major manufacturing centers for the components of the cylinder, and eventually the disc music boxes of the 18th and 19th centuries. A segment of the program is devoted to the history of music, which reveals the great music composers of the period. The advent of the music box brought the music of the great composers to the public. At the end of the 19th Century, some of the European music box companies came to the United States to set up manufacturing and distribution in American. Presenters, Al and David Eicher, traveled throughout Michigan filming and recording the sounds of over 100 music boxes. Register at the Adult Reference Desk or call 734-426-4477. 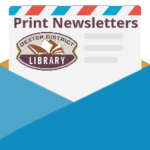 Registration Begins for the Adult Summer Reading Program: Libraries Rock!